"Life is a moving, breathing thing"
Banksia Yoga offers relaxed, small, classes with Hatha Yoga and meditation teacher, Hanna Somatic movement educator and counsellor Maureen in Blackwood. 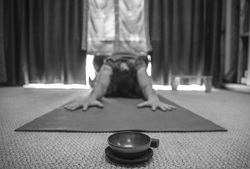 Hatha Yoga co-ordinates mindful movements with the breath, and promotes a connection between all the systems of the physical body and the mind. 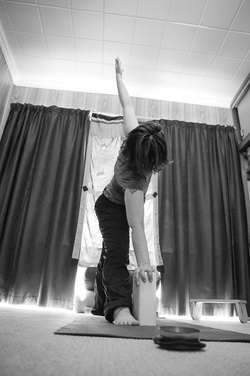 It is calming for the central nervous system and promotes flexibility, balance and strength. Relaxation and meditation is an integral part of all classes. With a focus on personalised practice; students are encouraged and facilitated to work to their own needs, and become independent in their practice. Please see the class times and locations for the latest timetable. You are also welcome to like my face book page and join the self care September group, for ongoing self care tips all year round.